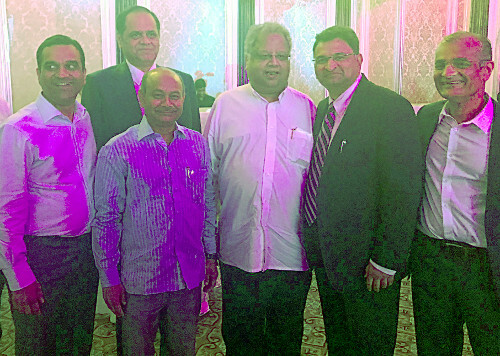 Rakesh Jhunjhunwala, the Badshah of Dalal Street, was, as usual, the first to recognize the potential of Radhakishan Damani. “My mentor is only one … I learnt trading from him … He has wisdom, extreme patience and humility … The patience he has to hear the other person’s point of view is unbelievable … He taught me life and shaped my nature. If he and my father had not been there to guide me, I would not have achieved such success”, the Badshah said in rich tribute to Radhakishan Damani. The Badshah’s tribute embarrassed Radhakishan Damani. “He gives so much respect to me that it puts me in an embarrassing position so many times” he said, laughing heartily. The Badshah also expressed surprise on how his net worth was more than that of Damani. 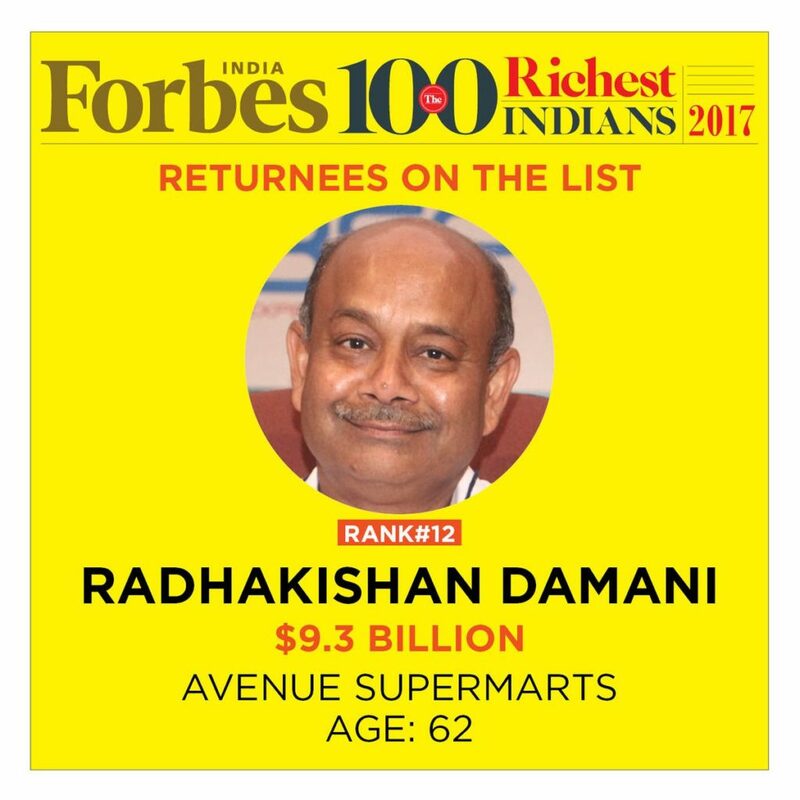 So, today, it is in the fitness of things that Radhakishan Damani has been given his rightful place in the Forbes List of Billionaires. At a net worth of $ 9.3 Billion (Rs. 60,450 crore), Damani towers over several high-flying industrialists. Forbes referred to him as a “returnee”. This is a reference to the fact that Damani was first ushered into the Billionaires club in 2014 with a net worth of only $1 Billion. His name was removed from the list in 2015 when the Bear market mauled his wealth. 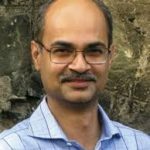 At this stage, we have to compliment Basant Maheshwari and Porinju Veliyath for having the presence of mind to latch onto the coattails of Radhakishan Damani. While novice investors were getting their knickers in a twist worrying about the so-called exorbitant valuations of D’Mart, the two stalwarts barged into the counter and grabbed all the stocks that they could lay their hands on with no questions asked as to valuations. 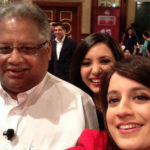 Basant was in his customary high spirits during his conversation with Sonia Shenoy. “We bought on the first day first show; it is like a child, we picked it right from the maternity ward,” Basant said, grinning from ear to ear. Basant explained that novices were making the mistake of valuing D’Mart on the basis of the FY17 P/E and getting worried about exorbitant valuations instead of looking at the FY19 P/E. “It is like looking at the horse and the cart,” Basant said, implying that one should focus on the horse (FY19 P/E) instead of being obsessed with the cart (FY 17 P/E). 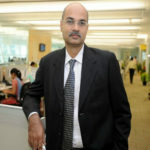 Basant further explained that on a FY19 basis, D’Mart’s valuations were on par with that other blue-chips like Blue Dart, Aditya Birla Fashion etc though it had the unique advantage of growing at 30-40 percent. He also revealed that D’Mart is following the correct strategy of growing like Walmart in a ‘concentric circle model’. “We are intoxicated with growth and we are drugged with growth,” Basant added with a chuckle. Porinju also gave a glimpse of his visionary outlook by declaring that D’Mart has the potential to be a magnificent 5x multibagger in the foreseeable future. 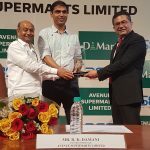 “D-Mart is a wonderful company and is going to grow much more. It can be a 5x company in the next 10 years. That’s the kind of potential that the company has. It is a well-managed company,” he said.
.@porinju: Possible for D-Mart to have a market cap of around Rs 1 lk cr in 3-4 years. It is unbelievable but true that D’Mart has given a mind-boggling 400% gain since the IPO in March 2017. 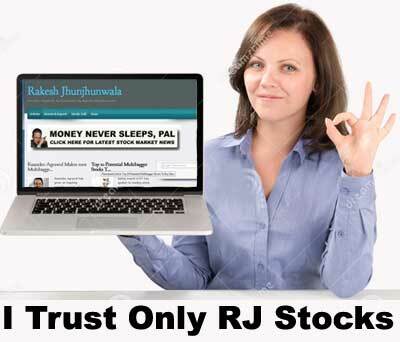 Even if we had bought the stock on the day of listing at Rs. 600, we would have nearly 100% gain as of date. 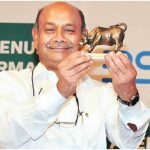 Radhakishan Damani is no longer just an investor but is a full-fledged businessman/ entrepreneur. The continuing success of D’Mart means that no Bear market will be able to oust him from the Billionaires club. Instead, we can expect him to reach pole position in the foreseeable future. Went to local DMart yesterday for Diwali shopping. Almost felt like I got into 8.14 Churchgate fast at Borivali. It was that full. Huge rush in DMart stores in Ahmedabad. Expect a blockbuster quarter this time again. Is the stock still a good buy? According to Goldman Sachs, D’Mart is still a great buy and has a 12 month target price of Rs. 1,500. However, Goldman Sach’s recommendation met with ridicule from knowledgeable investors because they appear to have discounted FY28 earnings to arrive at the price target. At 850 – People thought Page Ind was overvalued, costly etc. The stock is now up 2000 % at 18,000. Could the same happen with D-Mart ? However, Porinju Veliyath has issued a clear diktat that the stock is now overpriced. This puts it out of bounds for us. While we missed out on the D’Mart gravy train and of being business partners with the legendary Radhakishan Damani, we must keep alert for the several other opportunities that will come our way and make sure that we grab them with both hands! No doubt D mart is over priced, but all good long term Secular stories has been over priced through out. Yes it is not for short term as stock being overvalued can give time correction or even give some price corrections in between, but that will be more of buying opportunities. So as long as growth is there, stock will continue to perform inspite of higher valuations. I hold the stock from start and has been adding at every decline . I would like to hold till good growth is there. Amazon is on an active buying streak. Recently it bought into Shoppers Stop to get a piece of their offline retail merchandise and a so called hopeless stock has been flying since then. Now, if Amazon or a Flipkart for that matter, is looking for an offline groceries partner, whose doors would they be knocking? Just a thought. There is absolutely no doubt in the genius qualities of Mr Radhakishan Damani. Absolutely amazing. To move so decisively into this business avenue, wait patiently for the value to be unlocked, and then not be greedy in his offering to the public and then let the value multiply manifold. Amazing business story, quite unparalleled for ages, since the days of 5 Infy boys coming together to build a IT behemoth from scratch or a Premji converting his soap manufacturing/trading outfit into an IT company. My hats off to this simple, smiling, disciplined and down to earth super achiever of the decade. Who knows he may well become the super business achiever of the century. He can only grow his wealth to move higher and higher in ranking. I always had problem with a Ambani or Adani being called rich (because of their cronying nature with political favours), but never with this man. He deserves every bit of this success and I am happy to be a disciple of his discipline and patience!